Named and shaped in loving tribute to Tintin, the fabled Belgian journalist who defined what it meant to be an adventurer in the 20th Century, Les Adventures de President Bongo is a bonafide objet d‘art. The President‘s hard work is amply reflected in the music presented on Les Adventures de President Bongo, where he assumes the role of producer/instigator/artistic director, tasking some of modernity‘s most revered musicians with expanding their horizons and testing their limits. Vinyl/Digital! Limited vinyl edition to 300. “Les Aventures de President Bongo” continues! Click on image to support!! Micael Mayer plays (28:40min) Yotam's Avni remix of Quadrante nr.3 in his mix for Cosmo radio! Yotam Avni plays his amazing remix of Quadrantes nr.3 in his Groove Magzine podcast! We're on a roll! Mary Ann Hobbs played an extrait from the forthcoming QUADRANTES album by President Bongo & Óttar S. Release date October 12th 2018! GRAPEVINE'S ALBUM OF THE YEAR 2017! 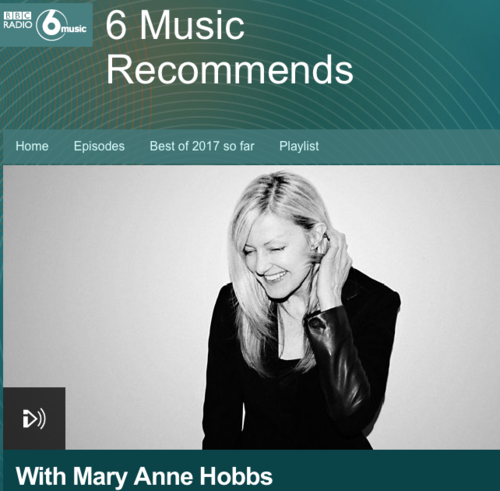 Mary Ann Hobbs plays an extrait from the forthcoming QUADRANTES album by President Bongo & Óttar S. Release date August 24th 2018! It is with great joy that I can inform you that the amazing “Shed Your Skin” album has been picked up by the respected London based record company “Erased Tapes”! Such joyouse news, as this is exactly what we had planned out as best possible scenario with our limited (300) "LES AVENTURES DE PRESIDENT BONGO (LAPB)" vinyl series. To open up doors and help each project we release as much as we possibly can. This will be considered as 100% success in our books. Our "LAPB" version you already bought on Karolina Fund will still be delivered, of course, and it will include different exsclusive versions & design. A true collectors item. As we do not want or need any conflict, promotionally or on any other platforms, and to show our support to Erased Tapes, we will postpone our limited LAPB official release to May 11th 2018 and make it into #2 in our 24 records adventure. We will however find the soonest possible date to send out, to you, our SUPPORTERS, the SHED YOUR SKIN / LAPB limited vinyl version.